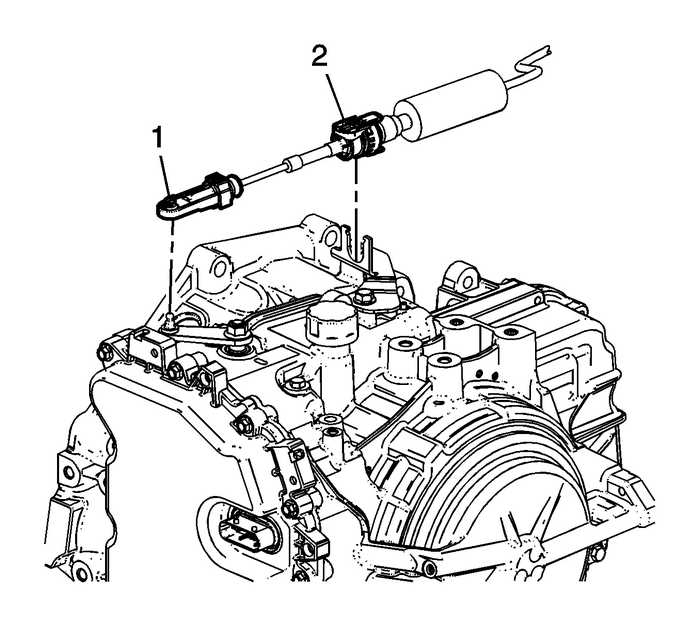 Disconnect the transmission range selector lever cableterminal-(1) from the transmission manual shift leverpin.Press the locking tabs inward in order to release thetransmission range selector lever cable-(2) from thecable bracket. Install the transmission range selectorlever-(2). Install the transmission range selector levernut-(1) and tighten to30-Y(22-lb-ft). 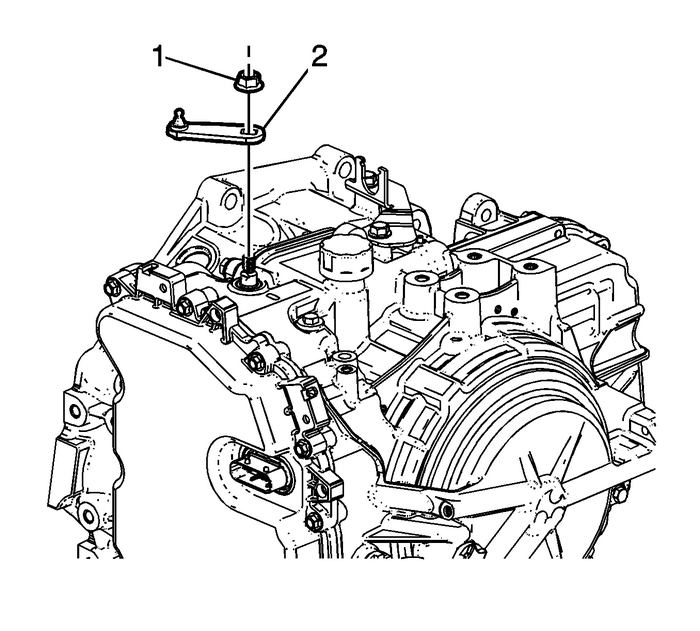 Install the transmission range selector levercable-(2) to the cable bracket.Connect the transmission range selector lever cableterminal-(1) to the transmission manual shift leverpin.Check the range selector cable adjustment. Refer toRange Selector Lever Cable Adjustment.